The Depression Dog may not be the easiest meme on the eyes. When one first sees the photo of the dog, they often will ask “What is WRONG with that dog?” The answer llies in the origin of the photo the meme is based on. It is a picture that has surfaced on many threads and websites devoted to bad taxidermy. Depression Dog was originally named Staredog, but the name has since been changed. Popularity of this meme started rising in 2009. 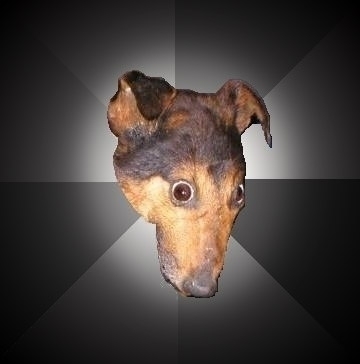 The meme has the photo of the botched taxidermied dog in the center, with a ray of colors as a background behind him. The eyes are bulging out and the head and jaw are at an absurdly wrong angle. The meme plays on the idea of depression resulting from unintended events, or just the behavior and sayings of a person who is generally very depressed and finds no enjoyment in life. Notable examples of the text surrounding the dog’s head to complete the meme include: “Doctor asks if sexually active … Answer ‘no’ sadly”, and “Get a call from her … It was accidental”.